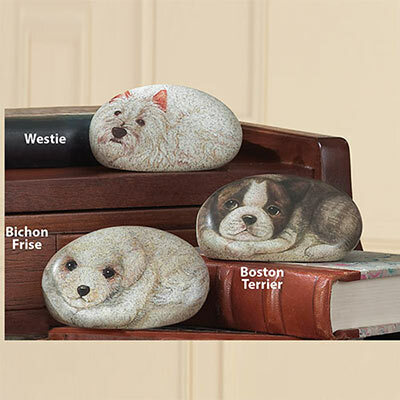 These puppies always find a favourite spot to curl up your desk, bookshelf or bedside table. Darling as gifts for that special dog lover in your life. Resin in true to life colours. Imported. Approx. 3¾"w.